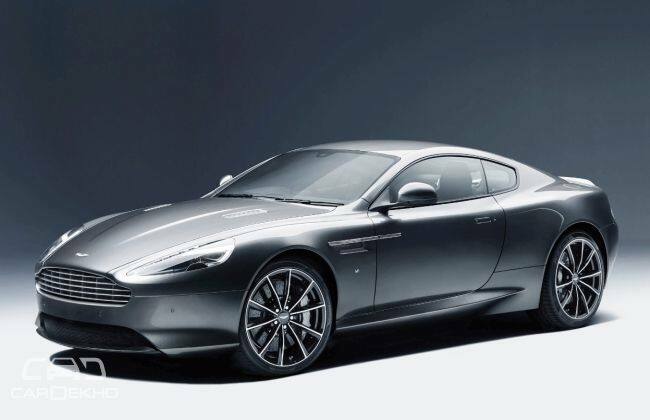 Aston Martin has unveiled the most powerful DB9 yet - DB9 GT, with its uprated 6.0-litre V12 engine putting out 540 hp. The DB9 GT will make its public debut at this week's Goodwood Festival of Speed in the UK. The company has also announced 2016 Vantage and Rapide S model lines with colour, trim and equipment enhancements. Spearheading the new DB9 GT is 6.0-litre V12 petrol engine that has uprated to generate 540 hp at 6750 rpm and 620 Nm of torque at 5,500 rpm. The front mid-mounted V12 comes in an all-alloy avatar with quad overhead cam and is mated to rear mid-mounted Touchtronic II six-speed transmission with electronic shift-by-wire control system. The DB9 GT can sprint from 0 to 60 mph in 4.4 seconds, on to a top speed of 183 mph. While an independent double wishbone suspension is set up all round, the DB9 GT also gets a three-stage Adaptive Damping System (ADS) offering Normal, Sport and Track modes. Inside, the car gets AMi II touch-sensitive Aston Martin infotainment system, offering a revised menu structure that is even more user-friendly than the AMi system, which debuted on the Vanquish. The AMi II infotainment package gets improvements in text message integration, vehicle status information and extended background themes. The new DB9 GT gets subtle GT badges, black painted splitter and diffuser, revised headlight and tail light treatments, new ten-spoke 20-inch alloy wheels and black anodised brake calipers. You can also opt for carbon fibre tail lamp inserts, side strakes, front splitter and rear diffuser; graphite, diamond-turned ten- spoke alloy wheels and alternative brake caliper colours. Inside, the 2+2 seating 'GT' embroidery on the unique 'Glen Coe' fluted leather, an iridium trim pack and Alcantara- wrapped steering wheel. Aston Martin has also announced the arrival of 2016 Vantage and Rapide S models with colour, trim and equipment enhancements along with a new touch-sensitive centre console fascia. The AMi II infotainment system also makes its debut in these models.